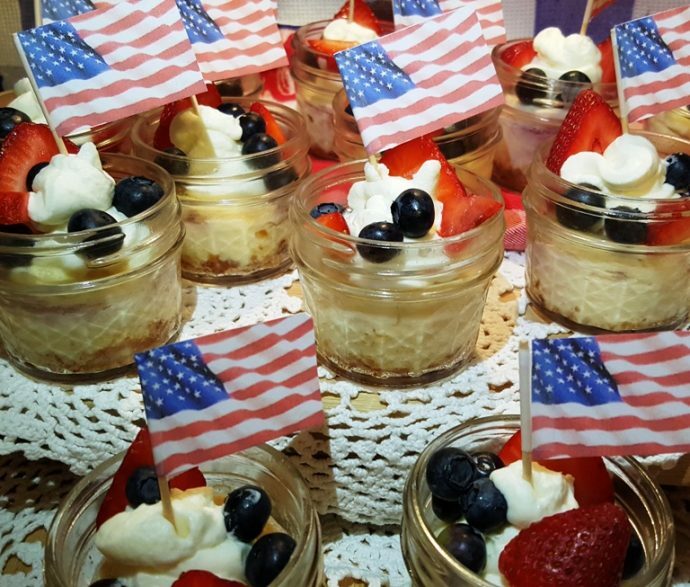 The Pièce De Résistance are my Pressure Cooker Red White and Blue Cheesecake Singles with Pressure Cooker Fresh Berry Compote, Fresh Fruit and optional Homemade Whipped Cream. These can be made in advance, even several days in advance. Cheesecake freezes nicely and also will make a great take-home Dessert. Bring them to your Picnic and add the toppings before placing on your Picnic Table. I’ve saved you the trouble of finding flags, as there is a printable Flag page in the recipe! 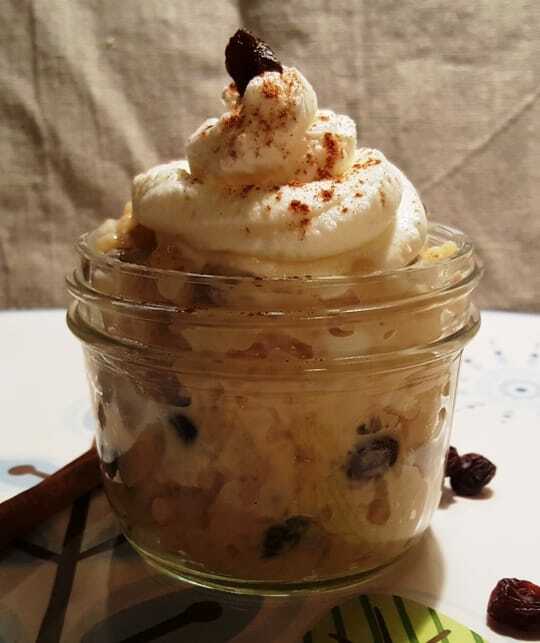 This Pressure Cooker Easy Cinnamon Raisin Rice Pudding recipe is a synch to make and can be made in advance. Just add a little extra milk, as the rice will absorb the milk overnight and become thick. Remember, the Cinnamon and Raisins are optional. 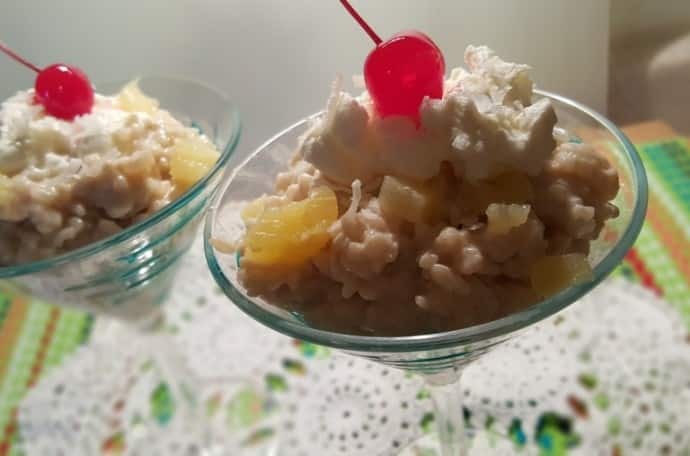 For an adult dessert, try this Pressure Cooker Pina Colada Rice Pudding recipe. The Pineapple is soaked in Rum and then added to the Rice Pudding. If there will be young kids around, just skip the Rum. This is a great recipe to make for breakfast or for dessert for any holiday. It’s semi healthy, as you can make it with the Whey that is left over from your Instant Pot Homemade Greek Yogurt. 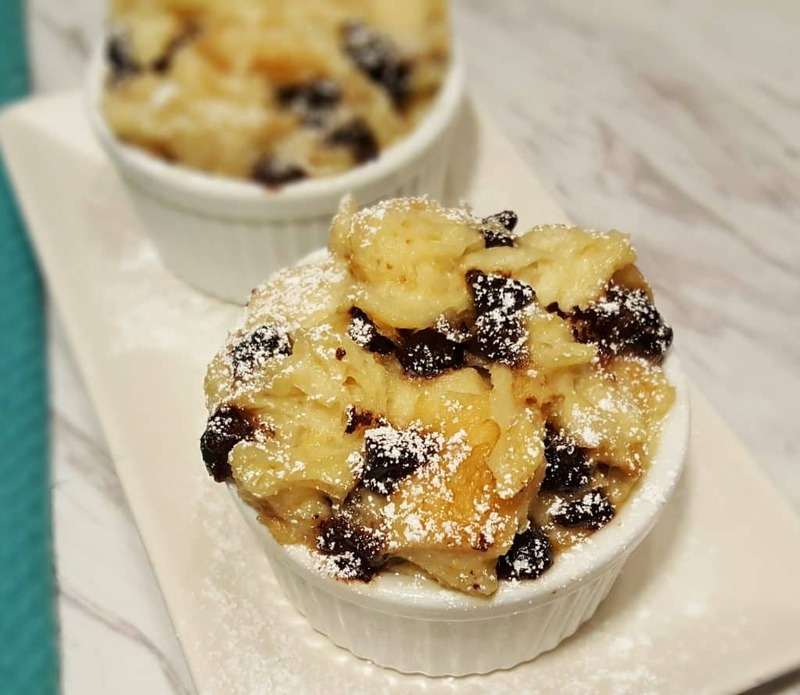 These little Pressure Cooker Chocolate Chip Bread Pudding Cups, will look cute on any 4th of July Picnic Table. I hope that this list of Easy Pressure Cooker 4th of July Recipes will make your menu planning easier. If you have not found everything you need for a perfect Picnic, make sure to take a look around my site. There are hundreds of more recipes that are equally as delicious. 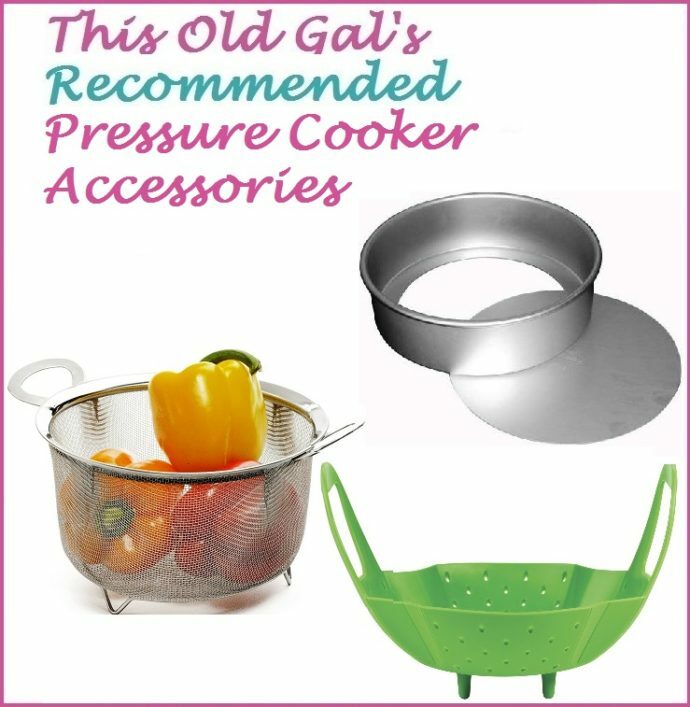 But wait, before you go, you might need some accessories to go with your Instant Pot. 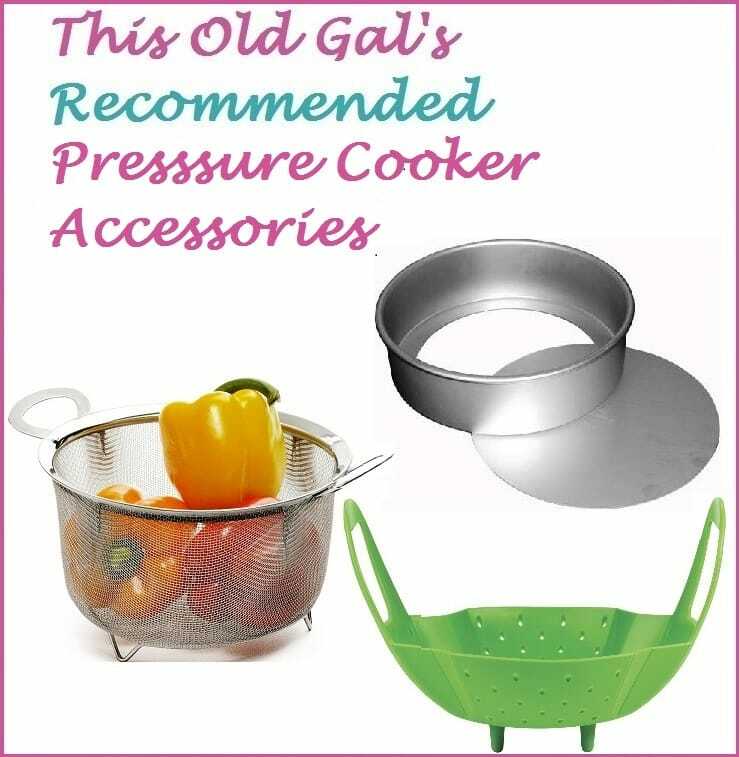 The Cheesecake Pan, Steamer Basket and Custom Instant Pot Cover, are must haves! I would love to know all about your 4th of July Party. Leave a comment in the box below and let me know what you cooked! PIN this 25 Easy Pressure Cooker 4th of July Recipes! where do i get new seals for my ip?